The internet contains some wonderful stuff. For instance, there’s a famous Tumblr dedicated entirely to gifs of things fitting perfectly into other things, such an Oreo sliding snugly into a Mentos tube, or Lego piece slotting into the eraser cup of a retractable pencil. Shapes and Holes, from developer Cats Head Games, is basically that in game form, as it sees you bringing shapes together with matching holes to solve a variety of different puzzle challenges. At the most basic level, that means pairing circles with tiles that have circular holes in them, squares with square holes, triangles with triangular holes, and so on. Whenever you clear a pair two new tiles slide in from the top to replace them. But the challenge rapidly escalates, from static screens and simple shapes to screens that scroll inexorably upwards containing an array of intricate shapes that are difficult to distinguish at a glance. 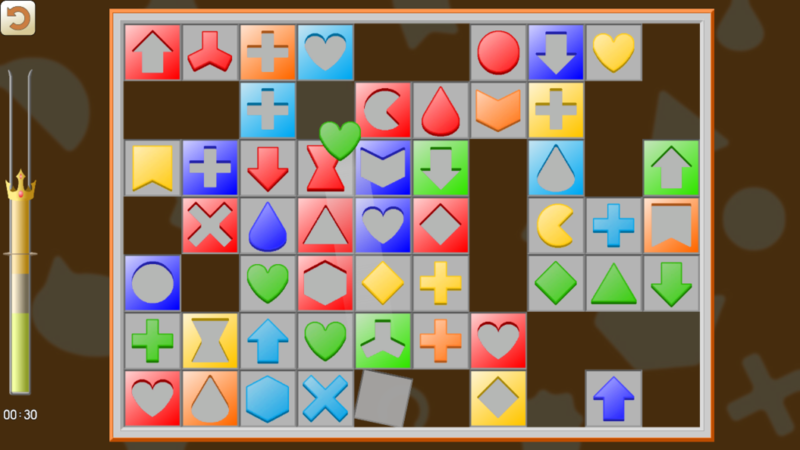 New elements and rules are dropped into the mix too, such as moving shapes and disappearing tiles. The aim is to reach a certain number of points as quickly as possible, and you’ll be rated on your performance using a hat system. That’s right – Cats Head Games has eschewed star ratings for a system based on the internationally recognized hierarchy of headwear: cap, helmet, and crown. There are two single player campaigns to take on. The original campaign sees you working your way through 65 increasingly diverse and challenging levels, while the recently added winter campaign involves bringing winter to a village. You add snow via the ‘Snowflakes’ levels, ‘Cookies’ stages add in Christmas lights to windows, and so on – until the place changes from gloomy to glorious. There’s more in the post, too, with a two-player mode due to drop any day now. 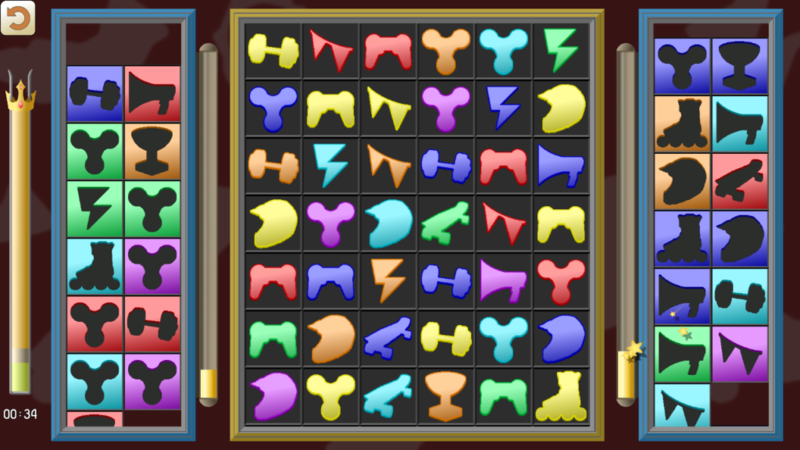 Like multiplayer Tetris, this mode will let each player make life difficult for their opponent by making matches and speeding up the action on the opposing side of the screen. 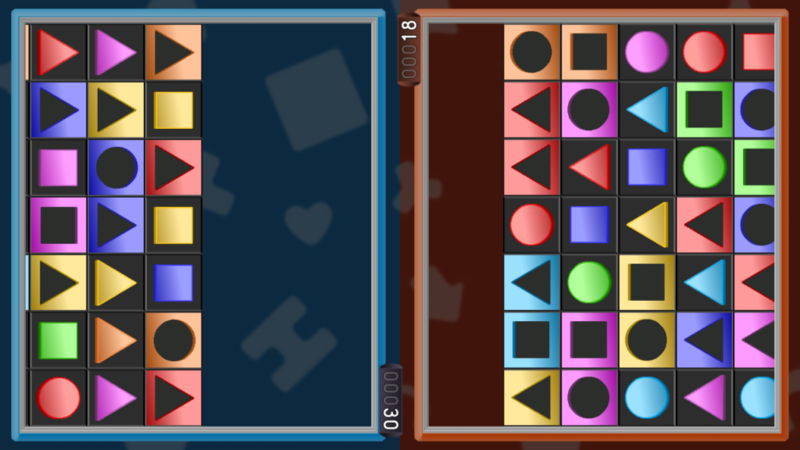 Shapes and Holes is a challenging, satisfying, and entirely new puzzler. Available on Google Play, you can grab the lite version for free or buy the full version right now.